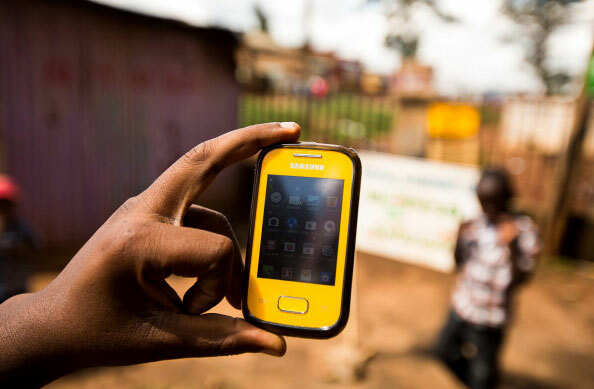 My own predictions for eight trends that will shape digital financial inclusion in 2015. A man displays his phone in Kenya. The use of digital financial services will continue to be one of the main drivers for financial inclusion in 2015. In the Alliance for Financial Inclusion (AFI) Network, we have noted quite a few interesting trends both on the technology side and the policy side that should have a direct impact on advancing financial inclusion through digital means this year. While agent banking has been around for several years in Latin America, it will expand quite a bit in other regions, especially Africa, Asia and the Pacific Islands. In the past couple of years we have seen 17 new Maya Declarations by central banks and policymakers around the world focusing on agent banking regulations and targets. This entry was posted in Alliance for Financial Inclusion, Mobile Money Regulations, Mobile Money Use Cases, Regulations, Tips for Mobile Money Providers, Uncategorized and tagged Africa, Alliance for Financial Inclusion, Asia, Digital Financial Services, Financial Inclusion, Latin America, Pacific Islands. Bookmark the permalink.